Initially FC Badalona competed in category B of the Campeones de Catalunya and in 1913 they added the distinctive white scapular (that's a "V" to you and me) to their blue shirts. This appeared to have an immediate effect as they won promotion to the top division later that year. They remained in the top division until the end of the 1915-16 season, but took another 11 years to regain their top flight status..The 1929-30 season saw FC Badalona join the Tercera and achieve top three finishes in the first three seasons. In 1932-33, the club won their league but in a play-off with Elche CF lost 0-7 on aggregate. In 1933 the club merged with FC Artiguense and moved to the district of Artigues. 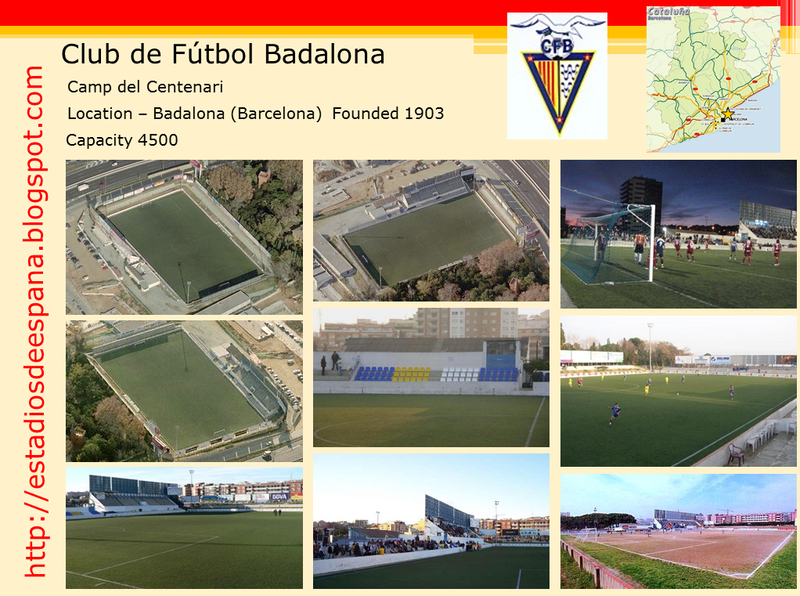 Now known as Badalona Esport Club, they gained entry into La Segunda's new format and finished in Sixth. 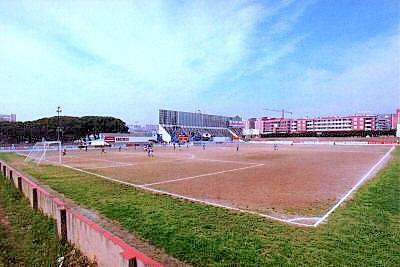 the following season saw the club finish fourth and 11 October 1936, just a few months after the start of the Civil War, the club opened their current stadium on Avenida de Navarra. When football returned after the war, Badalona survived for two further seasons in La Segunda before crashing out of the division with just 8 points from their 22 games and 84 goals conceded. 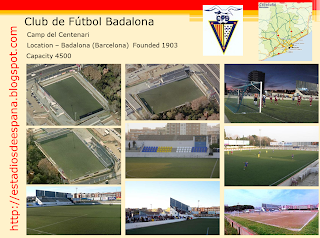 In 1941, the club changed it's name to Club de Fútbol Badalona and after a spell in the Catalan regional leagues and the Tercera, the club returned to La Segunda in 1947-48. Their five season long stay did not see the club finish higher than tenth, and they were relegated at the end of the 1951-52 season. There followed just over a decade in the Tercera before the club won back a place in La Segunda for the 1963-64 season. Relegation play-off victories against Gimnastica Torrelavega and CD Cartagena saw the club avoid the drop in its first two seasons, but there was no avoiding demotion to the Tercera at the end of the 1967-68 season when La Segunda was reorganised into one national division. 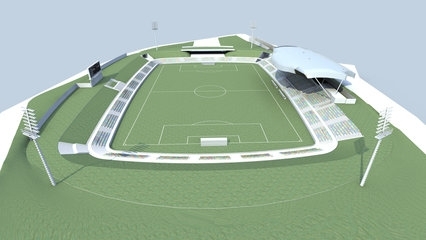 It would take the club 36 years to rise above the Tercera, by which time another merger, this time in 2002 with Unió de l'Esport Badaloní had taken place. The club also celebrated its centenary in 2003 and renamed their stadium to mark the occasion. After winning the Catalan Tercera title in 2003-04, the club entered the play-offs and beat Caravaca CF and Villarreal B to gain promotion to Segunda 2b. 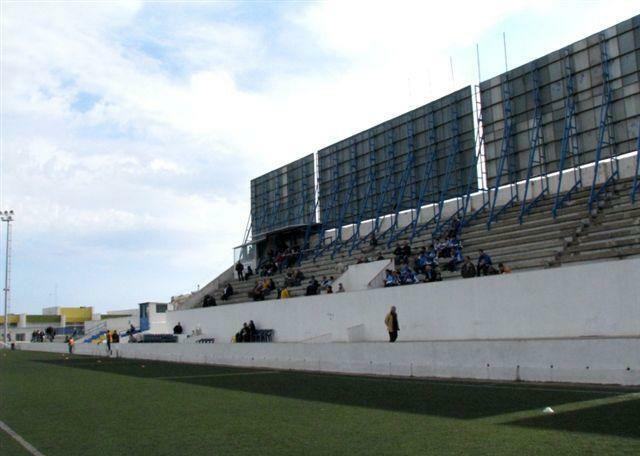 In 2005-06, Badalona won Group three of Segunda 2b and entered the play-offs with real hopes of regaining it's place in La Segunda, however, a 2-5 aggregate defeat to CD Linares put an end to those dreams. ﻿I'll look to update this post with pictures of the new ground if and when it develops, but in the meantime you'll have to make do with pictures of the very basic Camp del Centenari.